This is a mantra you’ll hear in locker rooms or gymnasiums where professional athletes work to train their bodies, which they rely on for their livelihood. This may be particularly so for basketball players, who make a living by exploding to the hoop, changing directions on a dime and running in stop-and-go fashion ― activities that put enormous strain on the body. Unfortunately for players in the Korean Basketball League (KBL), teams may not be paying proper attention to their specific needs, according to some non-native players. These athletes, who have experience playing the United States and Europe, say overtraining and arbitrary exercise regimens are widespread in the KBL. Not only does this raise injury concerns but it could also be holding back the development of the league. “The focus is to get guys in the best condition so they can just run all day,” said one player who attributes an ongoing injury to overtraining. “But if you really research about basketball, you see that it’s more about explosiveness, being more athletic. The player, like others interviewed for this story, wished to remain anonymous, citing his team’s “sensitivity” regarding the media. 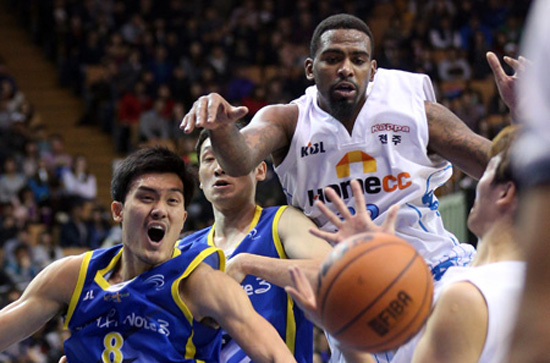 It’s not that these players don’t like playing in the KBL; they are hopeful that it will continue to grow. But their concerns may reflect a need for Korean athletics to move toward more sport-specific training techniques. The problem, the players say, starts with a short layoff between seasons, a break that typically lasts three to six weeks. Once preseason training starts, coaches schedule up to three practices daily. A relentless pace continues during the season. Season-ending or career threatening injuries in the league are not unusually frequent, which players attribute to a style of play based more on running and shooting than explosive movement to the basket. However, critics of the training style say nagging injuries can become more serious without proper stretching and rest, and can cause problems such as bone spurs in other parts of the body. 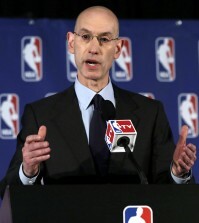 In the U.S. National Basketball Association (NBA), players get between three and five months off between seasons, depending on how far their teams advance in the playoffs. Players use the offseason to work on their individual games, strengthening the weaker parts of their body and adding new weapons to their arsenals with the help of personal trainers. The KBL features native players and holds separate drafts for overseas Korean and foreign players. The average annual salary amounts to some $144,000, the highest figure among Korean professional sports leagues. In the KBL offseason, which typically runs between May and September, teams hold “three-a-days” ― practices at 10 a.m., 4 p.m. and 8 p.m. They sometimes travel to wooded areas to run up and down mountains. This might be followed by hillside sprints. The player recalled going overseas during the offseason for exhibitions against international teams. They played five games during their 10-day stay while having two practices daily. Friends on other teams told him they were practicing once a day. “I could tell they were fresh. You could tell by their faces, the way they were warming up. Looking at us, we were dead, our bodies were heavy; we had injuries,’’ he said. During the regular season, teams usually practice twice a day, unless there is a game, in which case the team will meet once. During the morning session, teams lift weights for an hour before hitting the floor for drills. A team may or may not have on off-day following back-to-back games. The player has been concerned for his knees when asked to participate in exercises such as “weighted jump squats” ― jumping from a squatting position with weights on the back. He added that the team does between 300 and 500 crunches before lifting, straining the neck. After lifting, the team transitions to running, on-court drills including defensive “slides,” full-court layup drills, five-on-five and sprints. “After lifting, your muscles have been ripped and are fatigued. If you go and run, you are counteracting what you did in the weight room and can get injured. I’ve tried to talk to them about the human body. But they say, ‘This is Korean-style,’” he said. Jumping and sprinting involve the use of fast-twitch muscle fibers, which allow a person to generate a high amount of force in a short period. Trainers say the process is taxing on the body ― especially in the context of a competitive event ― and emphasize rest to allow proper healing. Not all non-native players are critical. “It’s tough to say because every country has a unique way of doing things; no place is the same,” another player said. “Korea has a formula that has worked for them. For such a small nation it has been very successful in competition. “For what Americans are used to, it’s very different. But then again, the whole culture around sports is different… I don’t know of anywhere where players are in control of scheduling. But critics feel that not enough study goes into the training. “There is an emphasis on being in the gym, all the time,” said a third player, who is concerned about the condition of his knees. “For example, when you are injured you should get rest and treatment. But here you have to attend practice and lift or do something. 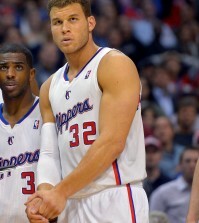 The player said that in the NBA, athletes get more autonomy when it comes to rehabilitation. “The responsibility is on the player to do the right thing, whereas here they make sure they tell you what to do,’’ he said. The two players who were critical of the training programs agreed that much of the insistence on particular methods stems from rigid hierarchies within the teams. Most Korean players are required to stay in dormitories for most of the year and visit family on weekends and during the offseason. They are required to eat three meals each day. The players said that a frequent explanation for the guidelines is that without them, Korean players would fall out of shape and drink alcohol every night. They argued that micromanagement doesn’t necessarily benefit the league. “In Korea, there is no individuality in the league, no players who can go one-on-one and make their own shots or who have their own style,” the first player said. “That’s because in the offseason you don’t have the chance to work on your individuality.